Alprazolam is the generic benzodiazepine drug commonly known by its brand name, Xanax. Alprazolam, much like all benzodiazepines, is a Central Nervous System (CNS) depressant that is used to treat anxiety and panic disorders. This prescription medication is effective at slowing down the mind and body, causing the user to enter a calm and relaxed state. Though successful at helping many people manage symptoms of their anxiety disorder, Alprazolam is considered a highly addictive prescription drug. Even those who are prescribed the medication and who take it only as intended are still at high risk for Alprazolam abuse and addiction. Fortunately, Restore Drug Rehab LA offers valuable Alprazolam addiction treatment programs to help people in need. Why Do People Get Addicted to Alprazolam? Unfortunately, many people prescribed the medication eventually become dependent for this reason, as they learn to rely on it in order to function. It is of little surprise that even individuals who do not have anxiety disorders are attracted to the medication for these euphoric qualities. In addition to relieving feelings of stress and anxiety, Alprazolam has also shown to enhance the effects of other commonly abused substances. When taken in combination with drugs such as alcohol, marijuana, or heroin, alprazolam amplifies the effectiveness of these substances. The act of mixing Alprazolam with any drug is dangerous, as this can be a lethal combination. The effects of Alprazolam continues to gain popularity among the public, making the drug highly desired by both people with and without a disorder that calls for the medication. Despite Alprazolam being recognized by most as a dangerous substance because of its role in many unfortunate incidents, such as risky behavior, injury, overdose, and overdose related deaths, its rate of abuse still continues to climb. An Alprazolam dependency can form in as little as three weeks of abuse. What It Means to Abuse Alprazolam? 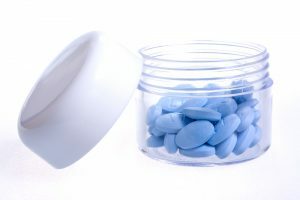 People of all ages in the United States abuse prescription sedatives for the relaxing effects that these drugs possess. However, the abuse of Alprazolam is seen more frequently than other benzodiazepine medications. Many people suffering from Alprazolam dependence started out taking the drug through a prescription obtain from a licensed doctor. Others, of course, developed an addiction after a period of recreational abuse. Nevertheless, Alprazolam dependence can occur within weeks’ time, and will need to be address at certified Alprazolam drug treatment center. It is important to identify the existence of an Alprazolam abuse problem before it transitions into a dependency. If you recognize any of these signs in yourself or someone you know, it is imperative that you reach out for help immediately. Call the Restore Drug Treatment Center to speak with one of our addiction specialists about the benefits of our programs for Alprazolam addiction treatment. How is Alprazolam Addiction Identified? When a person takes Alprazolam on a regular basis, they will soon build a tolerance, requiring increased amounts of the drug to achieve the same desired effects. Tolerance is an early warning sign of a physical dependency. There are several notable signs to look for when trying to determine if someone you love is suffering from Alprazolam addiction. Becomes hostile when confronted about their drug use. Makes excuses to justify their drug use or will deny using altogether. They continue to take Alprazolam despite encountering problems at work, home, or school as a result of drug use. With continued use and increase of doses, someone with an Alprazolam dependence will start to rely more and more on the substance, and will soon feel incapable of completing even the most trivial tasks without the drug. This is all too common in the world of addiction, and those suffering must seek professional Alprazolam addiction treatment to overcome the physical and psychological dependence. Why Seek Alprazolam Addiction Treatment at Restore? Substance abuse and drug addiction are problems that millions of Americans struggle with each year. When left untreated, drug dependence can spiral out of control, strengthening its grip on the lives of those affected. Anyone who abuses drugs or alcohol is putting themselves at risk for accidental overdose death. In order to safely and sufficiently put an end to the disease of addiction, professional treatment from a licensed and certified Alprazolam drug rehab center must be sought out. 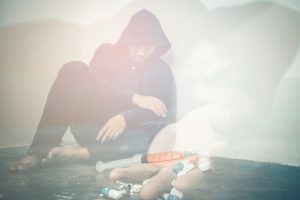 Addiction treatment is most effective when the rehabilitation plan centers on the individual needs and unique circumstances of the individual client. A great deal of substance use disorder cases are paired with a mental illness or ailments of a mental health disorder. This is especially common in people dependent on depressant drugs, such as Alprazolam. Treating the mental aspect of addiction is just as important to the recovery process as treating the physical dependence. Alternative therapy: yoga, meditation, chiropractic care, exercise therapy, etc. At Restore Drug Treatment LA, we specialize in treating all forms of addiction, both mild and severe. Countless individuals have turned to us for help overcoming Alprazolam dependence. We understand the complexity of this disease and have the tools, skills, and experience necessary to help you achieve success in your strive for lifelong sobriety. If you are looking to commit to an Alprazolam drug rehab center that can help you get your life back, Restore Treatment LA is a valuable facility to consider. Start your recovery and begin your new life at Restore drug and alcohol treatment center today!